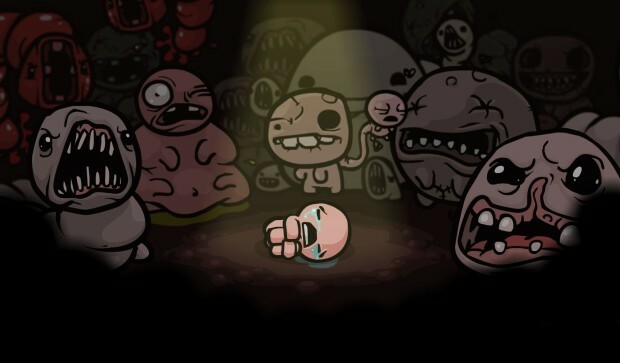 Many people think of Super Meat Boy when they think of Edmund McMillen of Team Meat but another one of his successes was the rogue-like The Binding of Isaac when it was released in 2011. It’s now being remade in an all new title with Rebirth. It’s coming to PlayStation 4 which was just announced today in a press release, as well as the PlayStation Vita and Steam. The remake is made completely from scratch by the development team over at Nicalis, who brought Cave Story and VVVVVV to other systems. It’s going to have expanded gameplay, new playable characters, and over 110 new items to use in the game. The graphics have an overhaul with the original’s made in flash, Nicalis and McMillen went into a sort of 16-bit look for the remake. Other new features include local co-op, Steam Loyalty Discount for people who already own the original, and a bunch of other things McMillen can’t say. It sounds like the full game, the Wrath of the Lamb expansion and more. Expect the remake to hit sometime early next year. This is definitely one of my most anticipated of next year already. Let us know what you think of the remake in the comments below!